For as much as I work. As hard as I work. 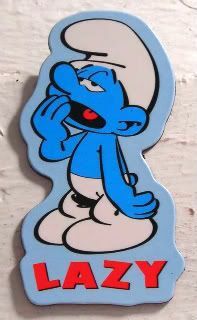 I'm totally Lazy Smurf. *Apparently, there's a French proverb that says, "Lazy people are always eager to be doing something." But, really...what does that even meeeeeean? I'm eager to explain it, but that would require effort.